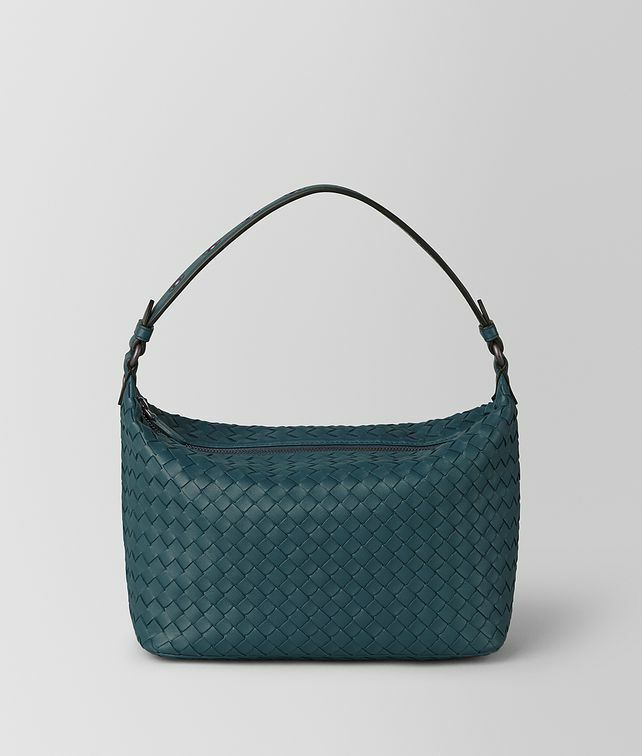 Made from handwoven nappa, the Ciambrino has a soft, boxy shape with minimalist appeal. The classic style is refreshed for Cruise 2019 with brunito eyelets on the handles and strap. The practical leather strap is now wider for comfortable carrying; it is attached to the bag with a brunito-finish spring clip that allows the Ciambrino to be worn on the shoulder or carried as a wristlet. Finished with a suede lining. Height: 20 cm | 7.9"
Width: 25 cm | 9.8"
Depth: 12 cm | 4.7"